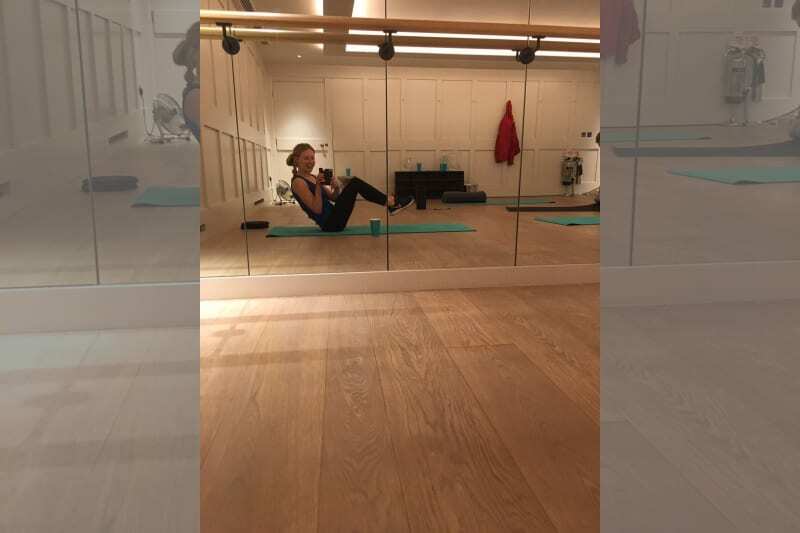 The fourth and final part of our Real Bride column exploring Bodyism’s fitness and health classes for pre-wedding grooming is here! Our wonderful real bride, Rosie, is back to give the final verdict on her experience with Bodyism. If you’ve read the last 3 columns on this series it will likely come as no surprise that Rosie only has good things to say about her Bodyism experience and is feeling refreshed, healthy and slim for her big day! Read on to find out exactly how Bodyism has Rosie looking and feeling fabulous for when she walks down the aisle. Our amazing Real Bride columnist superman-ing her way to her dream bridal body! “The biggest news from the past few weeks with Bodyism is that it has totally worked! And in all the right ways too. My goal was to loose 6lbs, tighten my flabby tummy, firm up my arms (bingo wing syndrome) and reduce inflammation in my face (which has tendency to be chipmunky) caused by fluctuation of sugar levels. Not only have all of those things happened, but I feel like I have gained a whole new approach to my health and fitness. This has left me feeling like I have undergone more of a lifestyle change than a bootcamp. My favourite part of my experience at Bodyism was the signature group class called ‘Clean and Lean’. This was a frightfully civilised affair with only 2 other people (who literally looked like Victoria Secret models!!). Pilates meets Yoga meets ballet style combination, all with the aim to tone and sculpt into a beautiful body. This style of exercise could not be more different to my usual rough as ready circuit training and I leave the studio feeling refreshed, rather than retched. If you think you can only see results with intensive cardio bursts you’re wrong! Remember the flabby tummy and puffy face I’ve been trying to battle? Well it turns out that a big reason for this is stress and increased levels of Cortisol. And what could be more relaxing than planning a wedding!?! Said no one ever. This is why most of Bodyism experience – be if training or Pilates or classes is gentle exercises, ensuring that You don’t produce additional cortisol often creates with excess intensity in exercise. What happy and refreshing workouts should feel like! Be sure to read Rosie’s past three articles in our Real Bride column here!